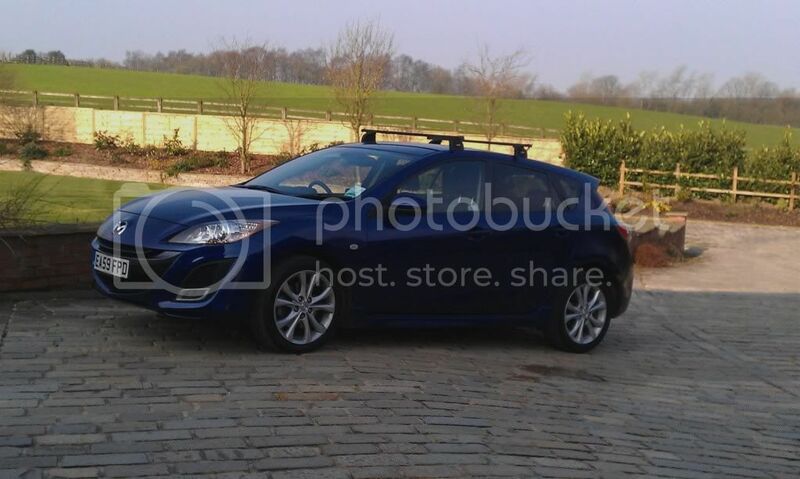 Just got my Mazda3 SportNav, really nice car, just trying to figure out i-stop, is anyone got it figured out ? From the information i can see, it says its working, it’s giving a fuel saving figure, and the system is switched on, but the engine doesn’t stop, and a page in the fuel economy app says i stop “not ready” of the three symbols next to it, only the battery is not highlighted, does this mean it’s got to reach a level of charge ? It's essentially a secondary battery, and that means if you do lots of short trips, the iStop system would have chargred up enough to keep working. It could also be that the previous owner drove that pattern and so the system will need charging by driving around for a decent time/mileage as you would a normal battery. I don't own a 3 with this system, but I suspect it only activates when its charge is sufficient and also if the car stops (say at the lights, in a queue or at a junction) for long enough AND secondary systems (A/C etc) aren't needing a big electrical draw. Quite a few people don't like stop-start systems and turn them off (replacing the iStop battery won't be cheap if it fails) - for the 3, you cannot 'permanently' (i.e. until you turn it back on) do this - it defaults back to 'on' (even if it's not charged enough for it to work) every time you turn the engine on, so you have to deactivate it via the dash button each time you use the car if you wanted to. Annoying, but at least you can. Yes the I stop battery does need to have charge before it will work. If you have been having the heater, air conditioning on and heated seats and not doing many miles it may not be charged 3nough to engage. With the warmer weather and using less electrics you should start to see it working. Oh right, ok, sounds right when it’s explained like that, only had it a couple of days, lovely car, but one thing is annoying, when ur navigating to a set destination, it cuts out the music on the drivers side when the voice guidance speaks, which is irritating, I’ve found the slider to turn the voice guidance to zero (I hope) is there any way you can turn voice guidance off completely so it’s doesn’t disturb the radio, music etc ? The original i-Stop launched in 2009 with the Gen 2 cars used a secondary battery (I have one). As far as I know Mazda dropped that with later models which have only the usual main battery. Also there is a very long list of parameters checked by the i-Stop system, any one of which will stop it operating. On the original cars any "permanent" fault like a dead i-Stop battery flashes a warning indicator but otherwise there is no indication of what is preventing operation. Ok thanks, sounds like it’s just the amount of electrical energy being used. Modern systems use a capacitor not a second battery. You've got to charge the capacitor before the system works, it'll scavenge energy in normal driving until it has enough. Our Citroen has a similar system (not my 3 too old) you can help it out by using engine braking rather than the foot brake on the hills to spin the engine a bit faster, it should then take the queue to ramp up the charging rate as the throttle is closed. If your vehicle is a 2016 as your profile, it will have this system. The example in the link is a 6 but the 3 has it though may not the same displays. Ok, thanks, have you ever noticed I-stop, stop the engine while waiting at a junction or similar ? Yes, the engine stops and the i Stop light comes on in green. When it's about to start the i Stop light flashes and then goes off when the engine has started.